YOU KNOCK ON THE DOOR BUT NOBODY ANSWERS CUPPING your hands around your face you peer through the side-panel of frosted glass. A kettle is whistling, a woman singing as she sets the table. This is a familiar house. You knock again. Inside, the sounds are festive. Glasses clink and a band starts up. Pressing your ear to the door, you hear the sound of your own laughter. This is the house you grew up in. You’re sure of it now. The revelers are boisterous, their dancing shadows on the lawn. Your legs are cold, there’s frost on your shoes, and the cabby calls impatiently from the street. You remember a song that eluded you all day. I’m very taken with Eve Joseph’s third collection, of self-designated “prose poems,” Quarrels (Vancouver BC: Anvil Press, 2018). I find the range of what is described as “prose poems” to be rather curious, running the full gamut from prose to lyric in ways that occasionally make the designation imperfect. Joseph’s poems, for example, exist far closer to what American poet Russell Edson (1935-2014), said to be the father of the American prose poem, composed, a style seemingly akin to the short stories (a form also referred to as “postcard fictions”) of J. Robert Lennon’s Pieces for the Left Hand (2005), yet far less poetic than the short stories of Lydia Davis. These are prose poems, therefore, closer to the prose end of the spectrum, far from the more poetic prose poems of poets such as Cole Swensen, Norma Cole and Rosmarie Waldrop. Really, to investigate the designation of the “prose poem” causes the description to lose focus, especially when so many contemporary poets utilize line breaks rather arbitrary, breaking a series of otherwise full sentences down into what gets called poetry. What does it all mean? I suppose, in the end, the designation also exists for the sake of describing against what it is not, and that is a lyric existing with line breaks. A FIVE-YEAR-OLD ASKS HIS MOTHER IF THE CLOUDS ARE solid and wants to know why, when he looks up, he can’t see the old people and their old cats. I must have dozed off. The trees were bare when I fell asleep but now their leaves are that impossible newly minted green. Tom Waits is bellowing downstairs and any second now someone I love is going to walk through the door. I want to know why the clouds told the Serbian poet their names in the quiet of a summer afternoon. And why didn’t he share those names with the rest of us? Perhaps they did not translate into English. Perhaps the old want to stay hidden and keep their secrets all to themselves. 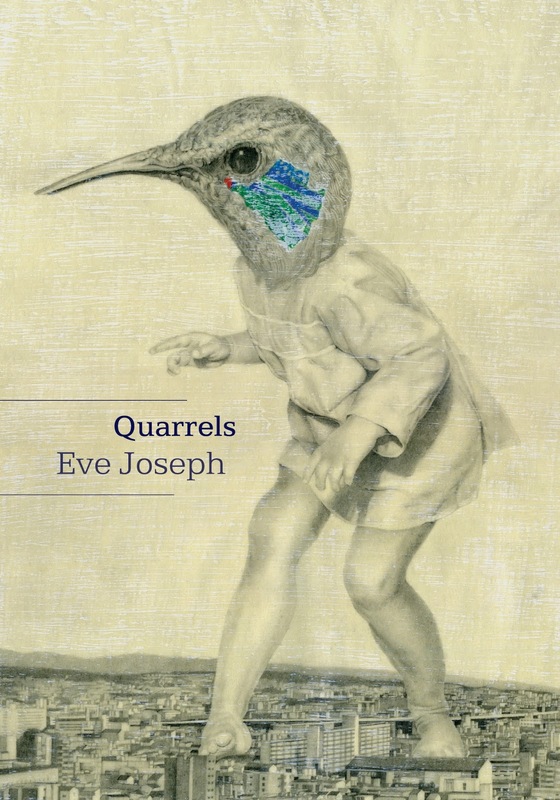 Either way, this is a gorgeous and accomplished book, and Joseph deserves enormous credit and attention for it, composed through an accumulation of sentences that appear straightforward, but toggle the lyric, instead, through that same accumulation of connections and disconnections. Set in three sections, her short, untitled pieces explore movements and moments, disagreements and differences, writing out short scenes, and even, as through the second section, composed from photographs by Diane Arbus. Each piece remains self-contained, yet part of a far larger series of grouped connections, akin to ripples running across and through the book as a whole. This is a lovely book.